Every wedding guest sees your invitation. 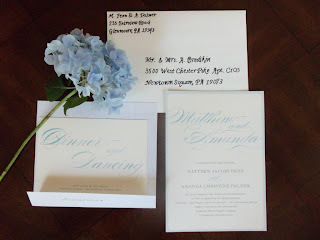 The invitation gives your guests an overall idea of your colors, how formal an event it will be, who is putting it on, etc. Who is hosting: the first names your guests see are those that are paying for the event. You can get your wedding invitations from a printer, website or buy a kit from a craft store. We decided to use Minted. 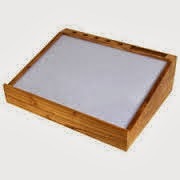 They have a wide variety of designs and were high in quality. Unfortunately when we got out invitations the print was so tiny you needed a magnifier to see it and were the wrong color! 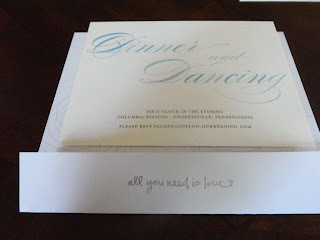 Luckily minted had wonderful customer service and re-sent the invitations in a larger font and in the correct color for free! You never know until you ask. Ask for free samples, ask for a lower price, just ask..
Add a stamp for a personalized touch! Our DIY part of the invitations was addressing all the envelopes by hand using a lightbox. We printed all of the names and addresses from Microsoft Word in Lucida Calligraphy font. Then used the lightbox to trace the information onto the envelopes using a thin calligraphy marker. They took a lot of time and patience, but looked amazing! Final touch was a silver heart envelope seal from Michaels. We used the white rose for our stamps. 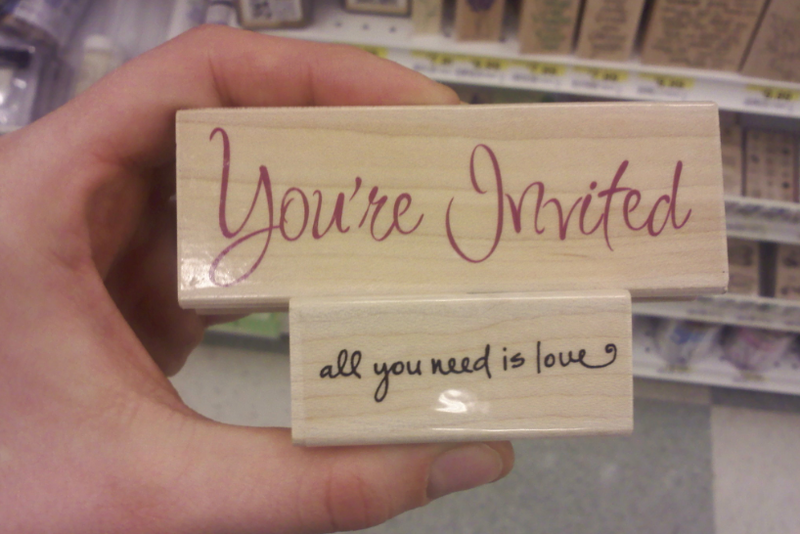 One thing to keep in mind is how heavy your invitations are. Take a finished invitation to the post office to have them weight it; ensuring you will use the correct amount of postage. 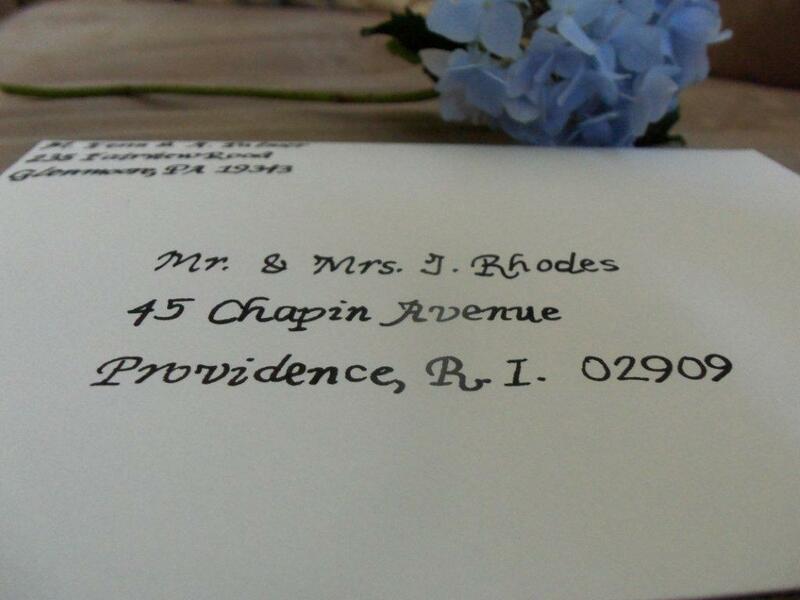 You would hate to send out your invitations, just for them to be returned! The post office has tons of designs for stamps, but don't always carry 100 at a time. So go 2 weeks ahead just in case they have to order more for you.